- Charge up to 4 devices simultaneously. 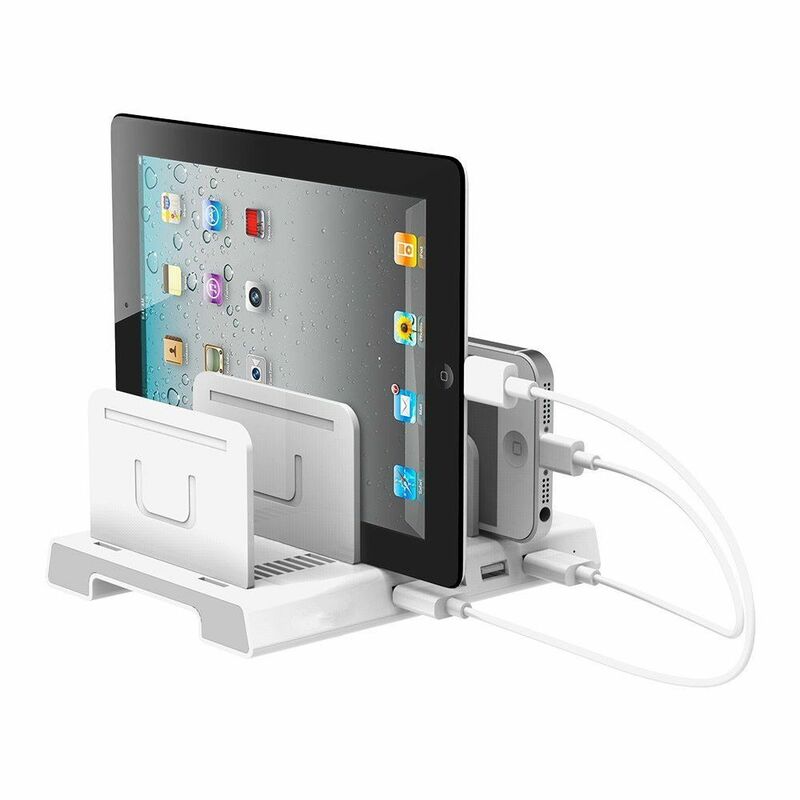 - Innovative design for space saving, put your devices on top when charging. 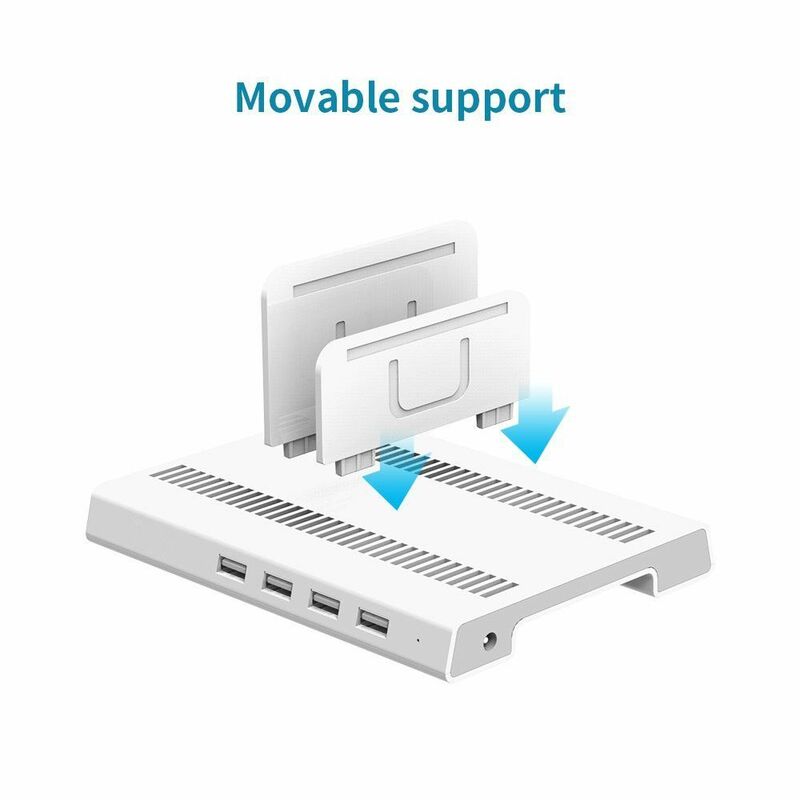 - The adjustable separators (slats) allow you to adjust the width needed for different devices. 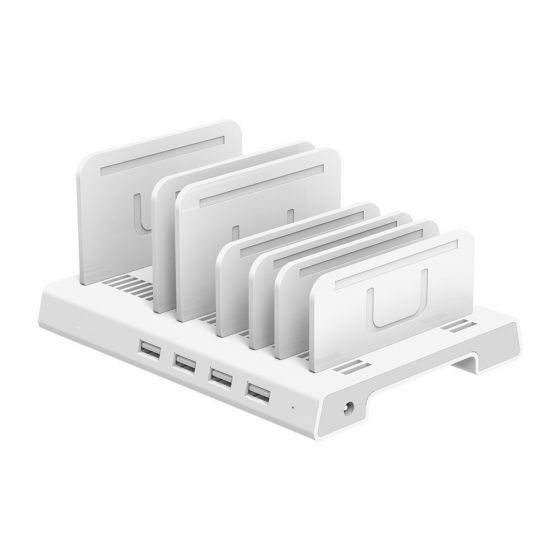 - Using PC+ABS material, solid and stable base. 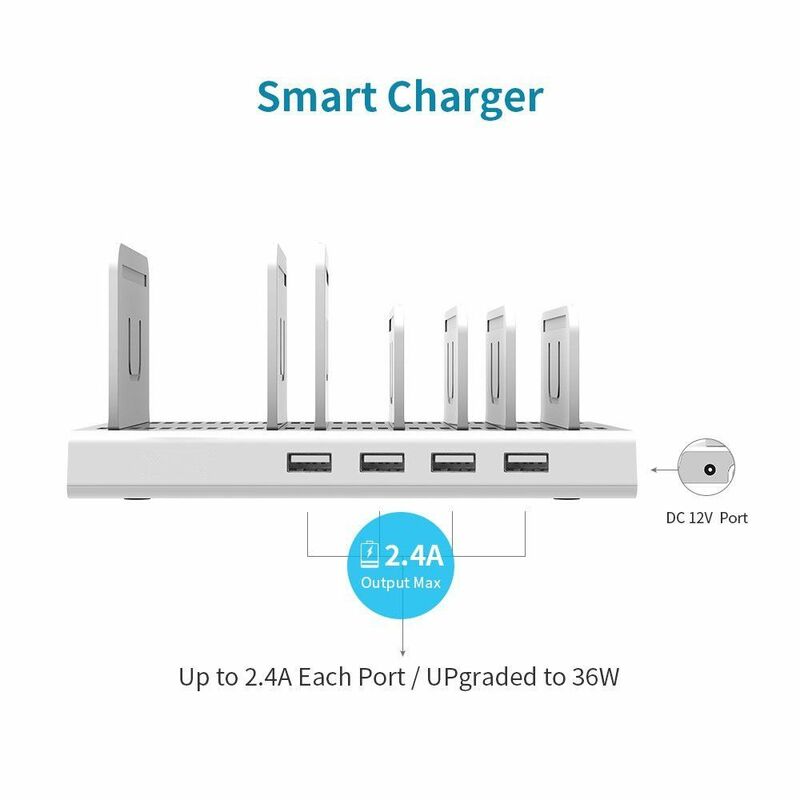 - With BC1.2 charging technology, maximum power output up to 2.4A. - With the protection against over-charge, overheat, short circuit and electric leakage.